Lunchbox Dad: Take Your Kids to Work & Get A Free Meal at Olive Garden! 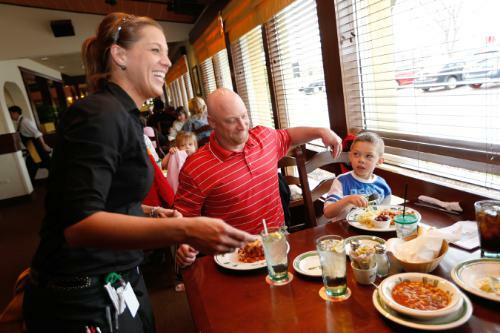 Take Your Kids to Work & Get A Free Meal at Olive Garden! If you follow my blog at all, you know I am in favor of special events and organizations that promote parents spending more time with their kids. 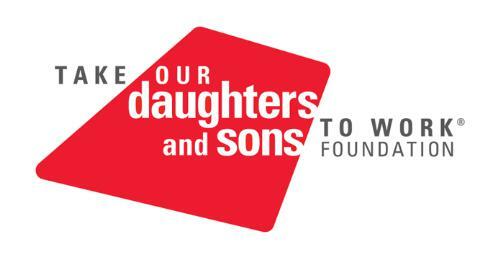 This Thursday, April 24 is National Take Our Daughters and Sons to Work Day. More than 37 million youth and adults are expected to participate in this. I am taking my daughter to work with me, how about you? There is no better way to celebrate this than to spend some family time together eating dinner afterwards. Olive Garden Restaurant not only has amazing food, but is providing a way to spend some family time together and giving away FREE kids meals at the same time! Olive Garden has partnered with the Take Our Daughters and Sons to Work Foundation since 2012, and last year more than 7,000 Take Our Daughters and Sons to Work Day participants visited Olive Garden restaurants nationwide. "Olive Garden is proud to support the Take Our Daughters and Sons to Work Day Foundation and all it does to create enriching educational experiences for children around the world," said Jay Spenchian, Olive Garden's executive vice president of marketing. "By offering free kids meals we hope to make the day a little more special for parents and their children, and encourage everyone to join us for a family meal together." The Take Our Daughters and Sons to Work Day free kid's meal coupon is available now at OliveGarden.com. The coupon is valid for lunch and dinner with the purchase of any adult entree, including more than 20 new menu items recently introduced on Olive Garden's menu as part of the most comprehensive update in the restaurant's history. To find the nearest Olive Garden restaurant, also visit OliveGarden.com. Connect with them at Facebook.com/OliveGarden,Twitter.com/OliveGarden and Instagram.com/OfficialOliveGarden. Disclosure: Olive Garden has provided me a gift card in exchange for promoting this awesome opportunity to take your kids out to dinner for great Olive Garden food. However, the opinions expressed here are solely my own.